Step 1) After opening up the Teams into the work space use the ‘+’ button to add a new team to your list. Step 2) Give the Team a name. 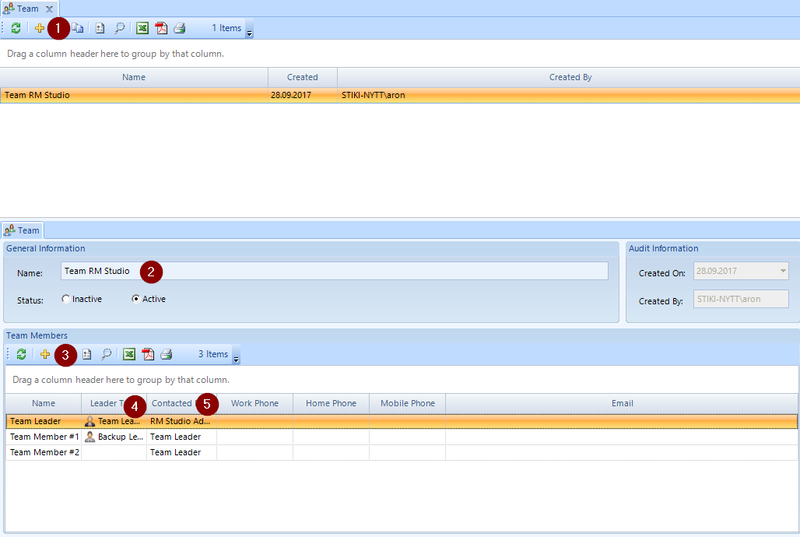 Step 3) Use the Team Members Tab below to select the Teams Members from the available Contacts drop down. *Tip* If your Contact is not in the list, you must create the new name in Contacts then add to your team. This often is the case when you need to involve 3rd parties into the business continuity planning. Step 4) After you have created your new Team you need a Team Leader and a Backup Team Leader. Click on the right corner of the column Leader type in front of the name of the Contact you like to assign to a Leading Role. Step 5) After you have assigned the leadership, set the protocol for the contact tree. Right click on the Contact you would like to set values for, in the menu navigate to “Contacted by” and select the team contact of that particular team member.